The focus of this research is in the broader area of physics teacher education. 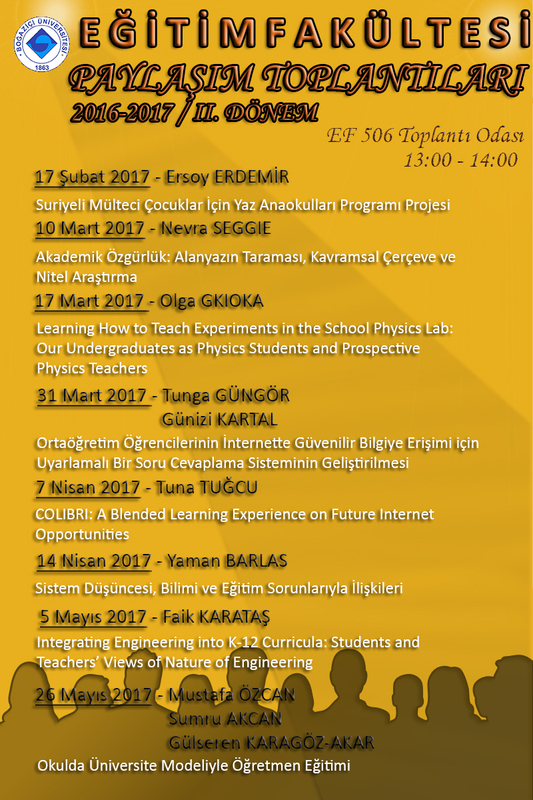 The aim is to investigate physics teachers' efforts to learn how to teach and assess experiments, and in particular, concepts related to scientific evidence in the school physics laboratory. The study looks at the participants as both learners and prospective teachers. It has taken place within the context of the course "Secondary Science Lab Applications" in the Department of Science and Mathematics Education. The participants a) revise main concepts related to scientific practices, in particular, experimental validity and reliability of measurement (taught in physics lab classes) and b) develop teaching and assessment methods while they carry out physics experiments. Particular attention is given to the preparation of lab reports, as well as how teachers should teach students what is included in a 'good' lab report. According to the AAPT Report for the undegraduate physics laboratory, the aim is, through the experiments, students to be able to design experiments, develop technical and practical skills, analyze and visualize data and communicate physics.Interviews have been conducted with the participants at different times and all coursework is collected. Students' difficulties while they design, carry out experiments and write lab reports have been identified. All experiments and discussion in the lab are videotaped. After mid-term exam, the participants have the opportunity to prepare lesson plans and teach one lesson to their peers. Lessons are videotaped and interviews (during their preparation and after theirteaching) have been conducted.Two questions guide the research study:(a) What are the understandings of scientific evidence that pre-service physics teachers demonstrate when they conduct experiments? (b) What are the difficulties and challenges that prospective/trainee physics teachers experience when they teach and assess laboratory work? The participants demonstrate difficulties when they need to identify the variables, design a fair test and use the already plotted graphs in the analysis of results and in the evaluation of the experiment. Particular difficulties are related to the number of measurements needed (according to the aim of the experiment) and the drawing of the best fit line.